Strongwell's SAFDECK® is a specially designed system of 24" wide, slip resistant, fiberglass panels that overlap for a continuous solid surface. SAFDECK® is intended to replace wood, aluminum or steel decking in environments where corrosion or rotting creates costly maintenance problems or unsafe conditions. Low in conductivity and non-sparking, SAFDECK® provides safe walkways in applications near electrical lines. 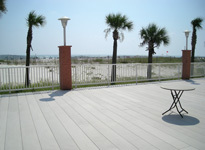 SAFPLANK® is a high strength system of fiberglass planks designed to interlock to form a continuous solid surface. SAFPLANK® is intended to replace wood, aluminum or steel planks in environments where corrosion or rotting creates costly maintenance problems or unsafe conditions. The 2" deep by 12" or 24" wide panels are available with either a solid or slotted surface. SAFPLANK HD® is a larger and stronger version of SAFPLANK®, used in applications where additional strength or longer spans are required. Like SAFPLANK®, SAFPLANK HD® is corrosion and rot resistant and planks can be utilized to form a continuous solid surface. The 6" deep by 36" wide panels are available in 20' and 24' lengths. Other lengths are available upon request. SAFPLANK HD® may be ordered with a grit surface or with a smooth surface for non-pedestrian applications. STRONGDEK™ fiberglass decking is an attractive, low-maintenance architectural decking system that offers an alternative to traditional decking materials. The panels will not rot, rust, chip or mildew, which make them ideal for high-moisture environments, including saltwater. STRONGDEK™ commonly replaces wood or plastic lumber in applications requiring stronger decking materials. STRONGDEK™ panels are designed to connect to form a continuous solid surface utilizing an innovative interlocking design. The 12" wide deck sections are easily installed with screw-like fasteners that are not visible, creating a smooth, attractive surface. This strong and durable fiberglass cover system installs easily and can be quickly removed for trench access by one person. Two substation installation jobs in Virginia and Tennessee were recently completed, immediately displaying the benefits of the new covers. In the course of six and a half days, a three-man crew used only twelve tons of UTILICOVER® panels to replace seventy tons of concrete covers! 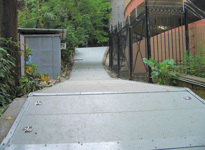 The project manager stated the UTILICOVER® covers were installed more quickly by hand than the concrete covers could be removed with an excavator. A faxable order form is available in the UTILICOVER® Flyer. 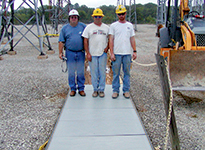 UTILICOVER® was developed by GEF Incorporated, a Strongwell allied fabricator, located in Winfield, WV. GEF manufactures, sells and installs UTILICOVER® in the states of West Virginia, Ohio, Pennsylvania, Maryland, Virginia, North Carolina, Kentucky and Indiana. UTILICOVER® is manufactured and sold by Strongwell in all other states in the U.S. 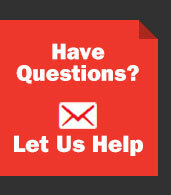 Inquiries for UTILICOVER® may be sent to either GEF or Strongwell. 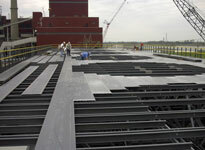 Fiberglass gritted plate is a tough, corrosion resistant floor plate. SAFPLATE®'s unique combination of pultruded fiberglass plate and an anti-skid grit surface creates textured solid sheet flooring that is ideal for both wet and dry environments. 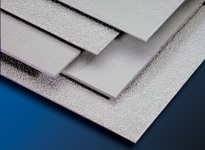 SAFPLATE® with fine grit is stocked in 4' x 8' panels in standard EXTREN® plate thicknesses of 1/8" and 1/4". 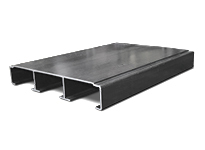 Optional plate thicknesses include 3/16", 3/8", 1/2", 5/8”, 3/4" and 1" sizes. Standard SAFPLATE® is Series 525, which is fiberglass reinforced polyester with fire retardant in a gray color. Other resin systems and custom colors are available upon request.